"In terms of protecting America’s national security, the president will update Congress on his diplomatic and military efforts around the world and reaffirm his determination to protect American interest and bring to an end our endless foreign wars," the official said on Friday. Trump in a statement earlier in the day said the United States will soon have destroyed "100 percent" of the Islamic State terrorist group's (IS, banned in Russia) so-called caliphate and it was time to start bringing US troops home from Syria. Meanwhile, a State Department envoy has been engaged in talks with the Taliban over the possibility of a US withdrawal of forces from Afghanistan. 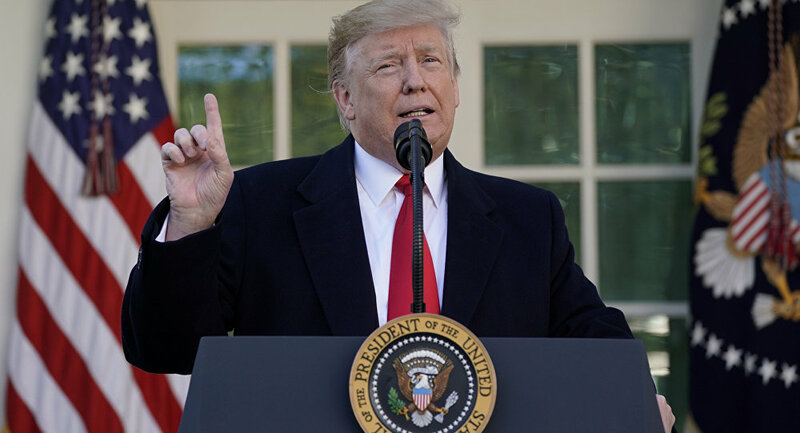 The administration official also told reporters Trump’s speech will focus on a way forward to resolve the impasse over a proposed wall on the US-Mexico border. According to the official, Trump will also call on Congress to approve the recently negotiated US Mexico Canada Agreement to replace the North American Free Trade Agreement (NAFTA). In addition, Trump will review the US trading relationship with China and ongoing negotiations with Beijing to re-balance commerce between the two superpowers, the official said. Other themes will include a request that Congress fund a bipartisan package to fix the nation’s aging infrastructure and efforts to lower costs of health care and drugs. The official described the current draft of the speech as upbeat in tone and an appeal to Congress for cooperation and compromise, the official said.